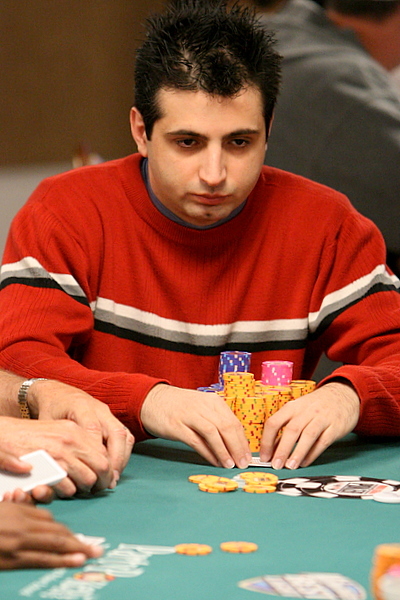 He is one of two people, who first won the man-machine poker championship. It happened in 2007. The other guy was Phil Laak. So, they beat Polaris. This software was developed at the University of Alberta. It is a Texas hold'em $10/$20 limit poker game. That is one of the rare events, when the people appear to be smarter than the designed programs, which have thousands of the card combinations and their outcomes. They were the pioneers in this field as some other live casinos are the pioneers in the gambling industry. On the first day the machine beat them by almost $1000, but who knew that miracles happen. It was a duplicate match, where the luck element was eliminated, while the skill element was emphasized on. On the second day Phil Laak beat the machine by $110. And Ali Eslami defeated the machine by $460. It was their final session, and the total winning of the humans over machine was $570. The Polaris developers received a huge home task to improve the software and make the lives of the best poker players harder. He won $299,171 in total.